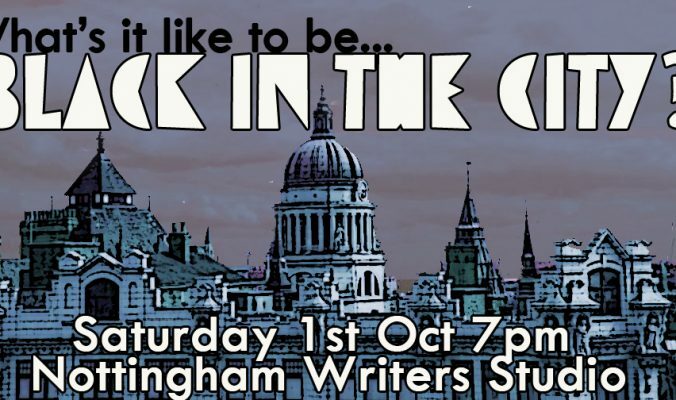 On Saturday 1st October, 7pm-9:30pm, at Nottingham Writers Studio, Nottingham Black Archive will be asking the question, “what is it like to be Black in The City?” We will be taking a fresh look at the Black experience in Nottingham, comparing present day happenings with the Windrush era and asking what has changed? What has remained? And if there is still a battle to fight?! Black In The City will feature artwork from Honey Williams. She will present her latest collection and discuss how misogynoir & sizeism has inspired her work. Singer and songwriters Marita Robinson and Abii will also share their perspectives on being Black in the City; Marita, with a national profile, will share her experience as a busker and Abii who performs on an international platform will share her experience of being racially attacked in her hometown Nottingham. There will be a host of local Black business owners and community activist including William Stewart adding their conversational two-pennies worth to the debate. Light snacks and a glass of wine will also be served. Tickets will be £3.50 to be paid on the door.